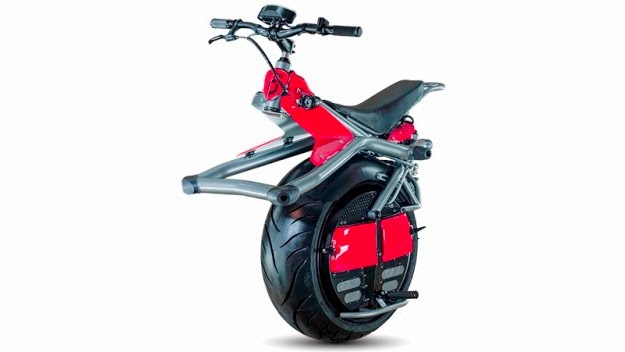 You read it right, this vehicle is called a microcycle, which probably has a link to his appearance and the fact that the design is reminiscent of a reduced version of the bike, but with only one wheel . Ryno microcycle is an electric vehicle that operates in a manner similar to the Segway, and you need to lean forward to move in that direction, while you tilt backward to slow down or stop. As the two electric motors located in the wheel of the vehicle , Ryno is a very compact vehicle and purposes he may be multiple , whether you use it for city driving or through narrow hallways or office buildings . Comes with two sets of batteries that are easily replaceable without the need of additional tools , and with every battery can tumble around 16 kilometers (10 miles), after which you'll have to recharge the battery for you will need 6 hours. 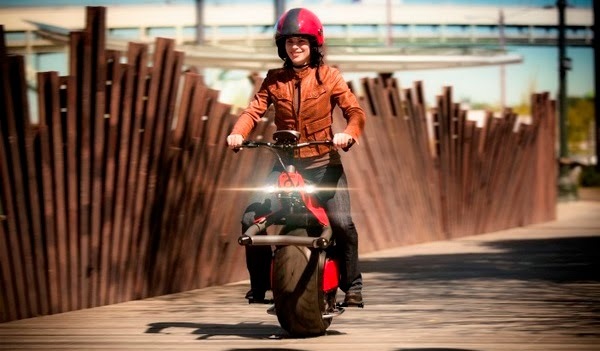 The maximum speed that can develop is 16 km / h , all the data on the current speed , system status , and the percentage of battery power , you can read on a built-in digital display , and to be able to connect your mobile device or tablet , Ryno has a 12V outlet equal to which is located in your car. To enjoy driving these interesting electric vehicle , you will need to set aside nearly $ 5,300.